DUG Insight User ManualFrequently Asked QuestionsFrequently Asked Questions WellsWhy can't I see my well in section views? 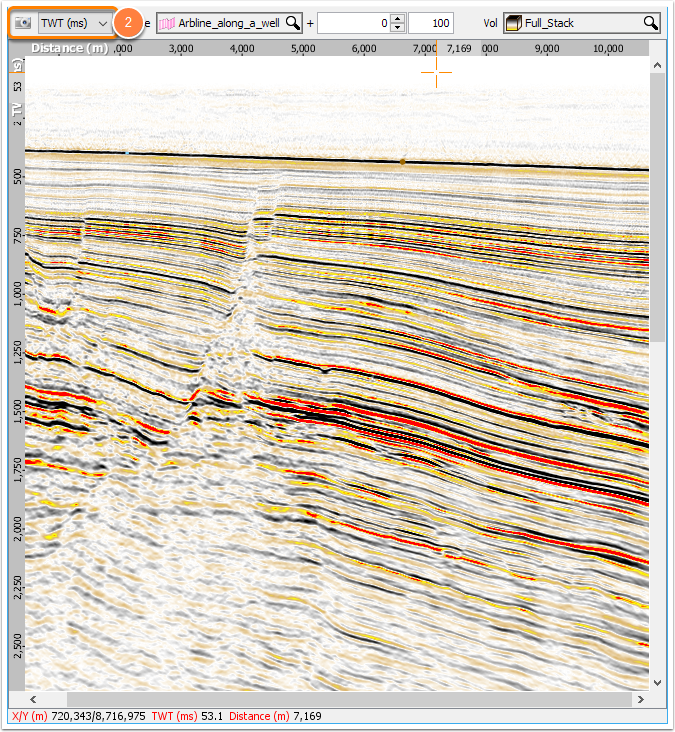 Do you have a well that is near an inline or crossline but is not showing up on the seismic in section views? If the well does not go through the line exactly, you may need to increase the well projection distance in order to display it. 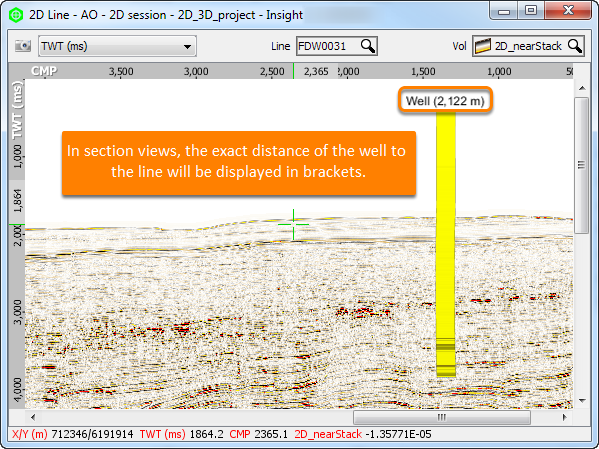 The well Projection Distance controls how far away a well can be displayed from a section view. Choosing larger values includes the well on more distant IL/CL or arb lines. Smaller values will only include the well on very close IL/CL or arb lines. Select the well in the Well tab of the Control Panel (see Defining Well Settings). Increase the Projection Distance (m) until the displayed section is within this distance from the well path. 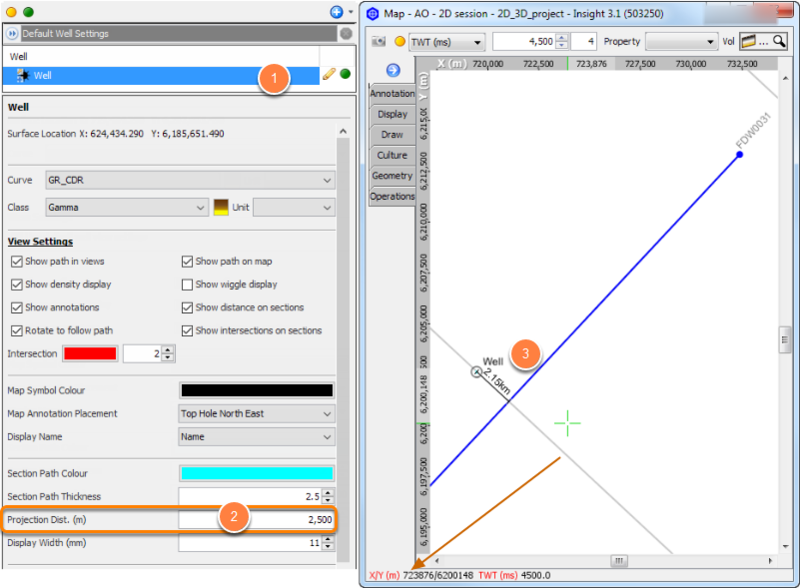 One way to figure out how much distance is required is to right click in Map View and select Add Measurement. Draw a straight line from the well to the line to calculate its length (see Measuring in Map View). My projection distance is okay, what else can I try? Are you viewing the wells in TWT or TVD? Try switching the section view to TVD. Wells can almost always be displayed in depth! Displaying in depth requires only a well path, or surface location. 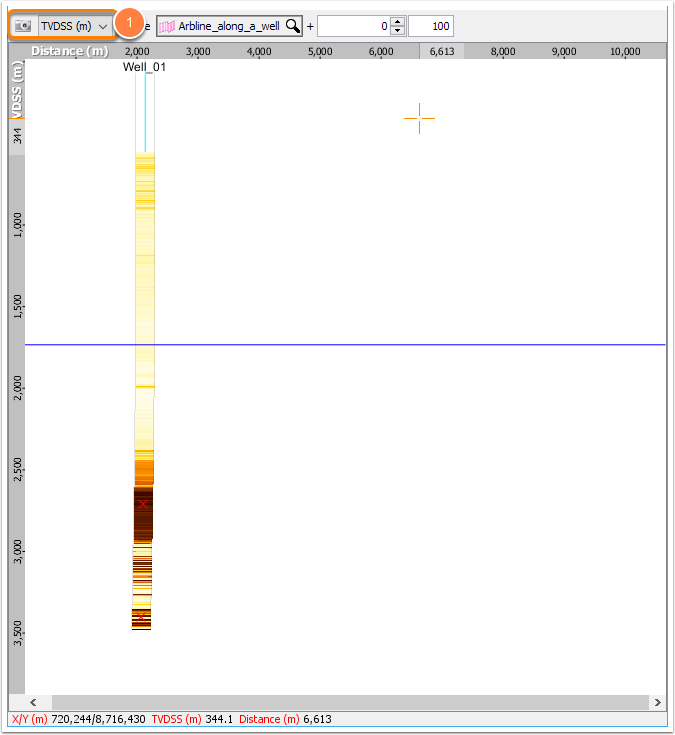 To display in TWT, wells require time-depth conversion, provided by the checkshots or time-depth pairs configured for the well. If there are no time-depth pairs, the well will not display in TWT sections.